A drooping moustache reaches down to the finely trimmed goatee beard on the face of a plump man under pressure. Smartly dressed and seemingly emotionless on the outside, he ignores the direct taunts of negativity that are being channelled his way. He won’t have to put up with this for too long. Rolling back the clock, it’s mid November 2012 and a club legend, Roberto Di Matteo, manager of the winning Chelsea side who battled to victory in the Champions League, has been shockingly sacked. Distraught, Chelsea fans far and wide, wish Di Matteo all the best and even more, after such a historic underdog journey to Munich and back again. The worst is yet to come as former Liverpool manager, Rafa Benitez takes the reigns of the Chelsea side in the form of interim manager. Comments are churned up from his managerial past, a time when Benitez had publicly blasted Chelsea in the media about a number of things he felt distasteful. 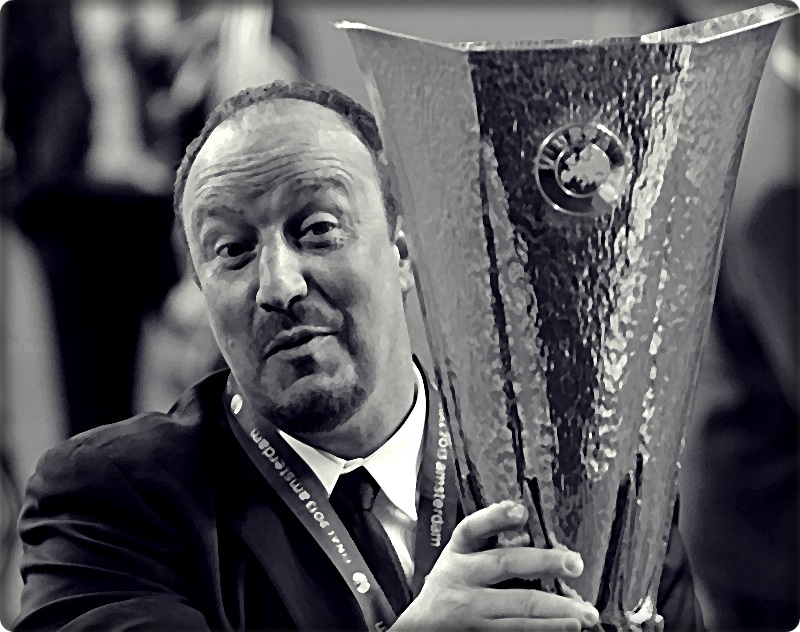 “Rafa Out”, one of the most commonly used phrases regarding Chelsea FC’s managerial situation would refuse to go away. Some fans were more interested in expressing their disapproval to Benitez’s controversial appointment rather than urging the team on to win. The striking resemblance to an overweight Spanish waiter and Al from Toy Story 2 didn’t help matters. An instant but somewhat understandable hatred towards Benitez was born. Replacing a club legend with a former rival manager is never going to be an easy transition. It’s easy to think that Benitez could have done a whole lot better with what he had at his disposal but it is crucial to appreciate that Chelsea were involved in 8 competitions this season. Obviously 3/8 of those competitions were only a game or two (for example Super Cup) but a competition nonetheless. At Inter Milan, Benitez had a win percentage of 48%. At Liverpool, Benitez had a win percentage of 56%. At Valencia, Benitez had a win percentage of 54%. At Tenerife, Benitez had a win percentage of 50%. Now, this is the delightful one. At Chelsea, Benitez managed around 48 games. 28 wins, 10 draws and 10 losses. In the process, the Chelsea team scored 99 goals and conceded 48. In percentage terms, that is a 58% win percentage which you’ll notice is higher than all other teams listed that Benitez has managed in his career. Not too bad for Rafa, eh? What did you think about Benitez’s tenure as Chelsea manager? Let me know or tweet me @GaryCRobertson.